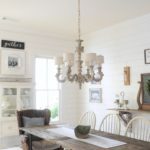 Today I’m sharing how we changed the entire look and feel of The Little Cottage with new exterior paint, a gorgeous wood & glass Dutch door, and that cute little farmhouse light we all love! Thanks in part to our amazing sponsors Sherwin Williams & The Simpson Door Company for helping us reach our home improvement goals! 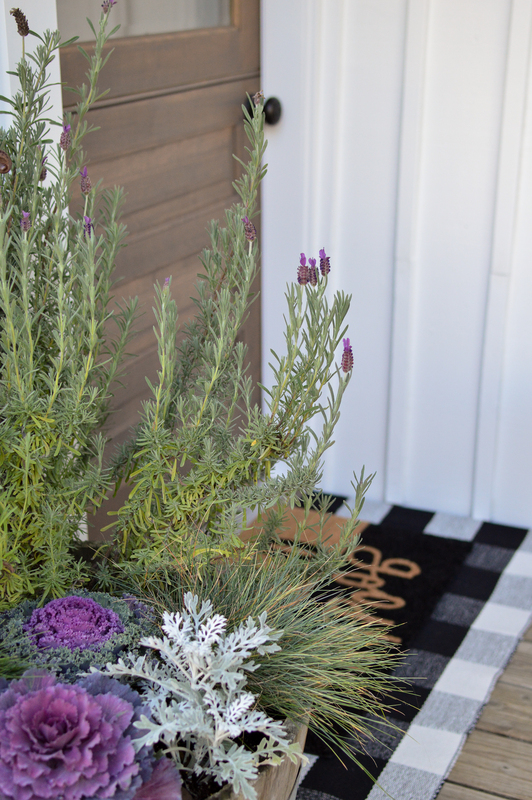 I am so pleased to finally be sharing our brand new Dutch Door from the Simpson Door Company with you today, and unveiling the exterior paint job on our little guest cottage too. Everything is done now and I’ve been positively dying to share this, but I want to share a little bit of the process first. The projects kind of collided as far as timing goes, and I couldn’t get to the door to finish it after it was installed and hung, because it was covered to protect it while the house was being painted. 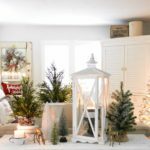 This post is highlighting projects we did on our guest cottage — which I refer to as The Little Cottage. This was a “during” photo with the door installed, paint samples on the cottage, and the beginnings of a new stone path getting started. It was a very busy few months. 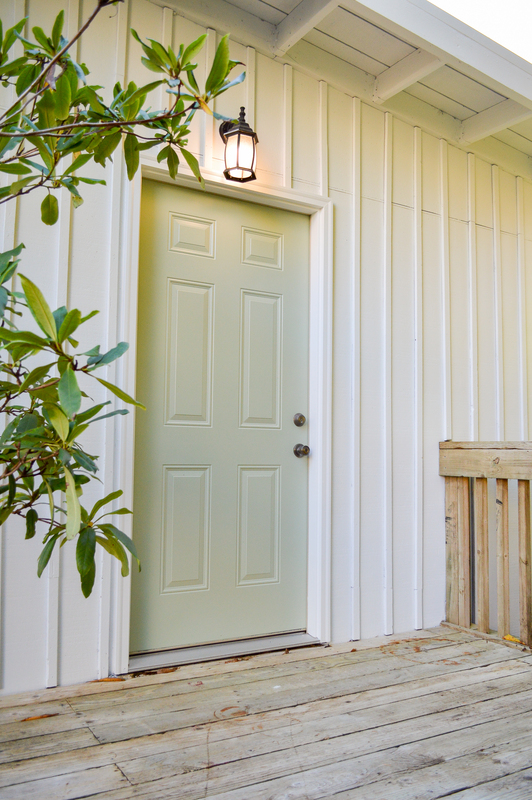 I had just started to plan a Fall porch when the opportunity to have my dream door came up, so they were put to the side to allow work to be done. This house is all kinds of wonky, and we paid a professional to come in and completely tear out the old frame, rebuild and hang the door. 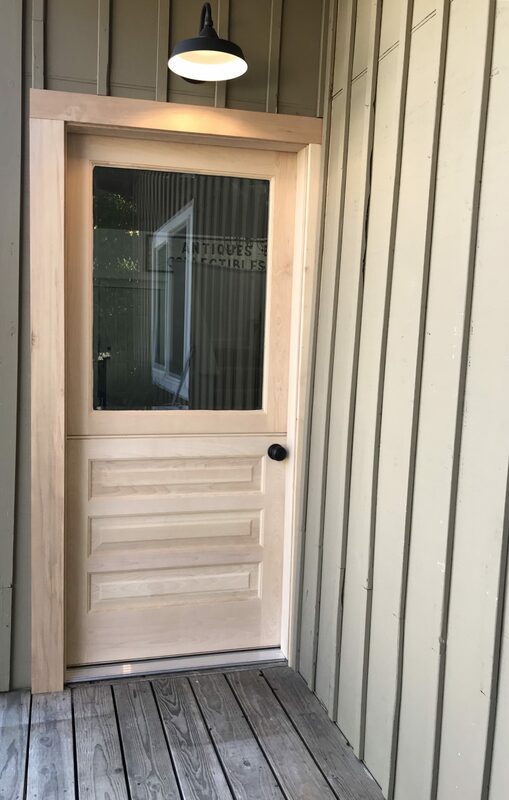 It’s an absolutely stunning wood door and there was no way Jim or I wanted to be responsible for not doing it the justice it deserves. Our installer did a beautiful job with the mess he was working with and the door opens and closes like a dream! We used a local company, Pacific Coast Restoration. They will be handling the demo and rebuild for the water damage that we discovered on the back side of the main house too. I selected matte black hinges & door hardware, I grabbed a very simple doorknob from Ace hardware. I didn’t want anything to complete with the door, and I didn’t see the need for a deadbolt with all the glass? Our door is not visible from the street at all so I’m comfortable with the full glass top portion, and the difference it makes in that entryway is amazing! I’ve got a project coming up in a few weeks and light that comes pouring in is really going to be evident. When the opportunity came up to partner with Simpson Door Company it was a dream come true! They make just about every shape, size and configuration of door your can imagine. And I got to design every single element of this one myself. From the wood species (I went with White Birch), to the glass style (Beveled for me! ), to the design layout on the bottom of the door. 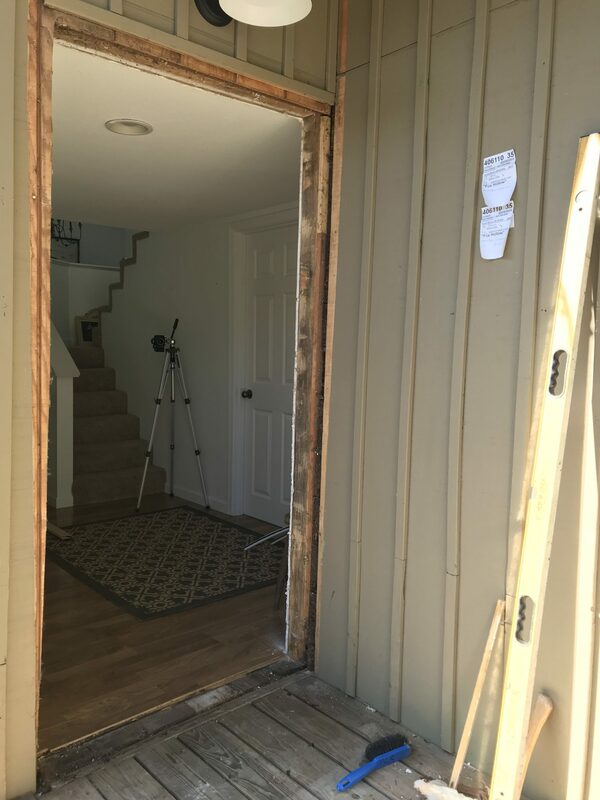 I didn’t feel like our house was a good candidate for a Dutch door, and because the entry door at The Little Cottage was in the worst shape, getting a new door for it made the most sense. 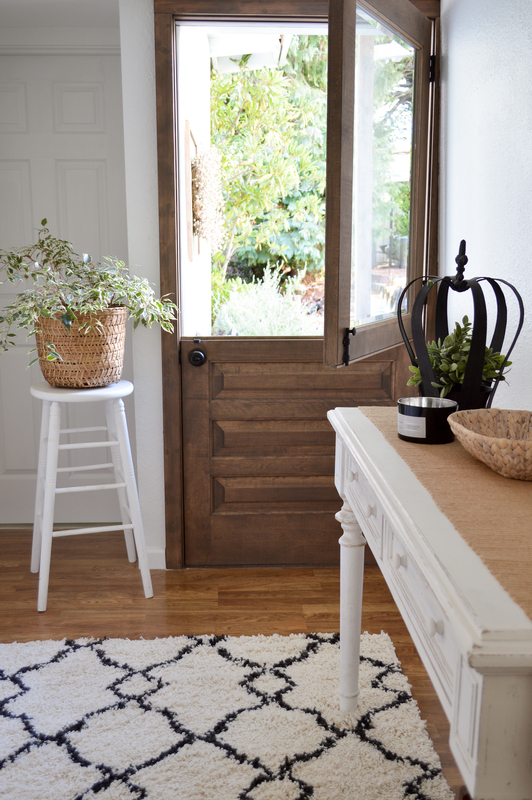 It being a Dutch door was the cherry on top. While the door was being installed, we decided to bite the bullet and have the main house painted! Read & see our home exterior reveal post [here]. It was all very last-minute, and actually pretty exciting. 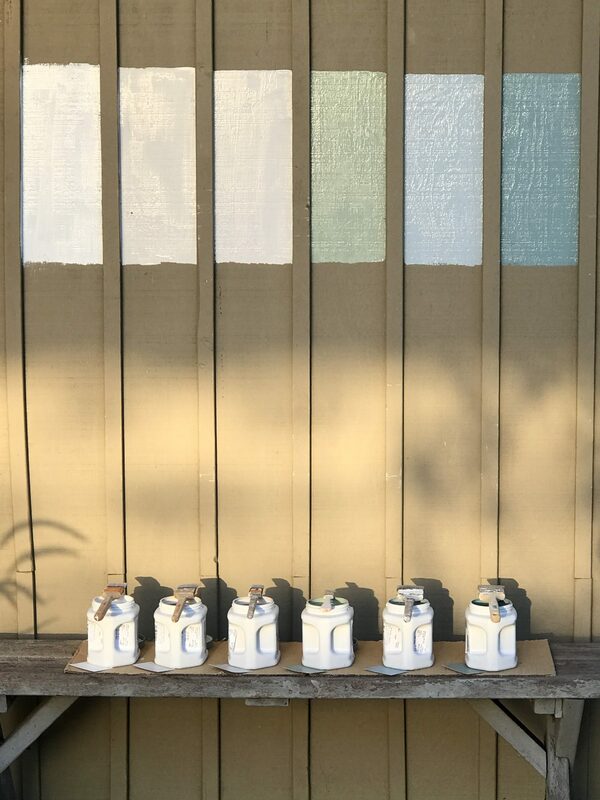 It was a quick cascade of decisions, like picking paint colors! I didn’t have time to blog about my choices, but it was so fun sharing all my options on Instagram with some of you. 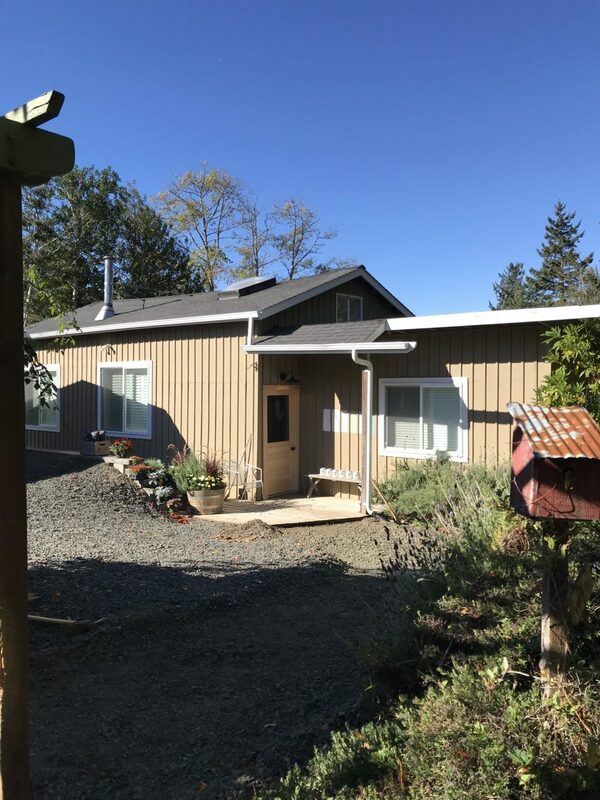 While we were getting the final bid for the main house, I couldn’t let the opportunity pass me by, and I pulled the painter aside to ask him how much it would cost to do The Little Cottage too. And I think you can see how that went. Let me add that while I had the painter pulled aside, that would be about the time Jim noticed, and asked what I was scheming. He knows me too well. I told him never you mind, that I’d pay for it, and not to worry. hahaha… and then we discovered all that rot later. Whoops. Seriously though, it was really so little extra to have this done. And I think perhaps even more than the main house… THIS little cutie was meant to be white. I mean, how could that full batten siding not be white? And I’ve said it several times, but this is my view. This is what we see coming and going to and from our cars. It’s what I see as I run up & down the stairs all day, and from our sun deck when I water all my plants. 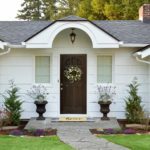 I love seeing the house in white, and gazing at that pretty door is such a treat! She’s so far from perfect, but she’s getting there. I decided on the same Softened Green for the bedroom door, as I did for the vintage French doors on our house. I have big dreams for this little porch to be turned into an outdoor shower one day. Jim loves them, so I am pretty sure I could get him on board! We won’t have a view of whales swimming by like we did on Oahu, but it could still be pretty sweet on a warm Summer day. The light will be switched out when time and budget allow. 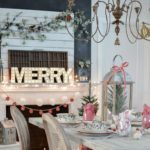 This was a busy year, and with the discovery of the dry rot on our house… this light isn’t really high on my list right now. I spent any extra cash I had on my new vacuum purchase, LOL. It’s all about priorities… and I really wanted that vacuum! Before she was even done being painted, Jim and I were daydreaming…. and we already have plans to expand the porch and re-work the flower bed under the bedroom window next Summer. We sit out here all Summer, and late into the Fall. I meet Jim outside when he gets home from work and we chat about our days and catch-up while I water and dead-head the pots & planters. We both cherish that time together in our day. It feels so good to finally be sharing this project with you!! It seems like everyone is deep into holiday mode, while I’ve been over here playing catch up. Bouncing from my late Fall home improvement projects, to being sick, to prepping for Christmas tours! It’s all been so worth it though. 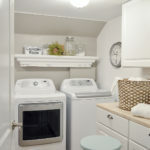 PS: here is a tiny peek from inside, and where I’ll be working this coming week, on a brand new DIY project!! A friendly tip: I suggest you like & follow the Sherwin Williams Facebook page. I always plan my projects around sales, and it’s often 30-40 percent off! Some of the direct courtesy shopping links I provide may be affiliate links — It will not increase your cost. 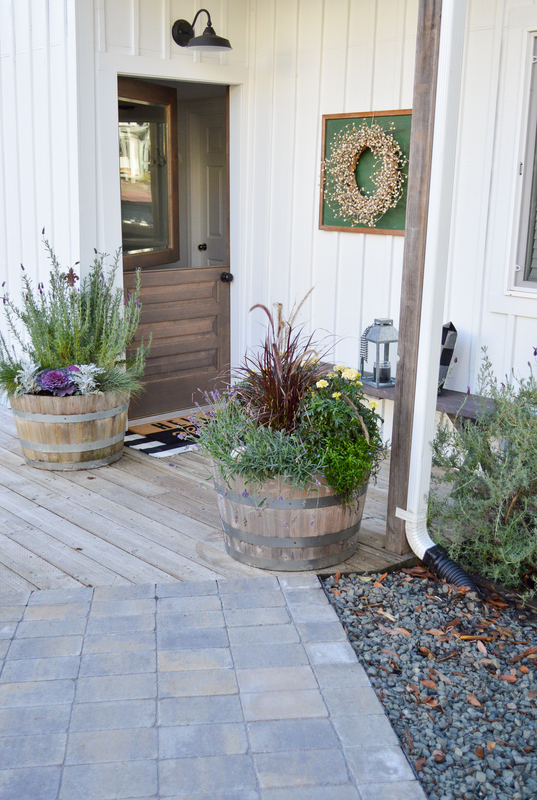 The Dutch door makes the entrance now! The stain you used is beautiful and makes the door so welcoming. The new exterior paint looks great. Thank you Laurie! My sister turned me onto that color stain. 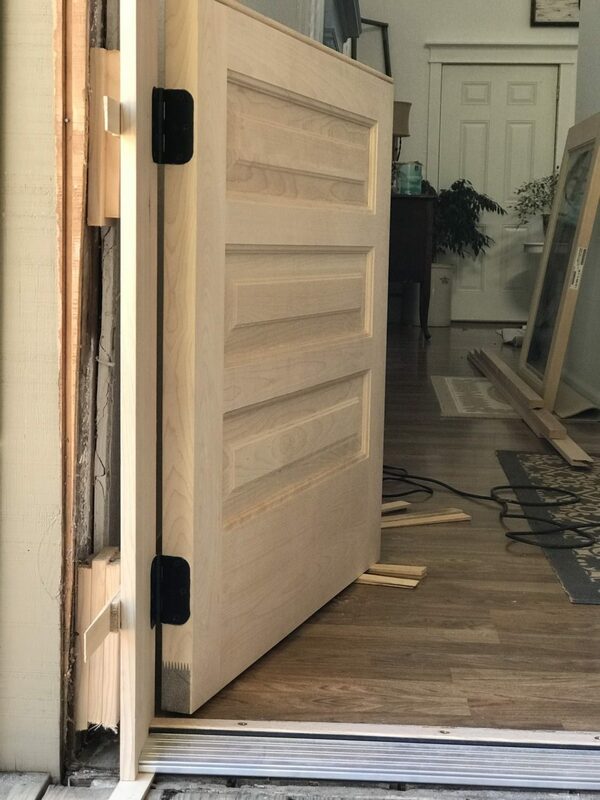 I’ve used it on several smaller projects, and I was 99% sure I was going to like it, but still nervous to start on that gorgeous door. thanks for this gorgeous reveal. 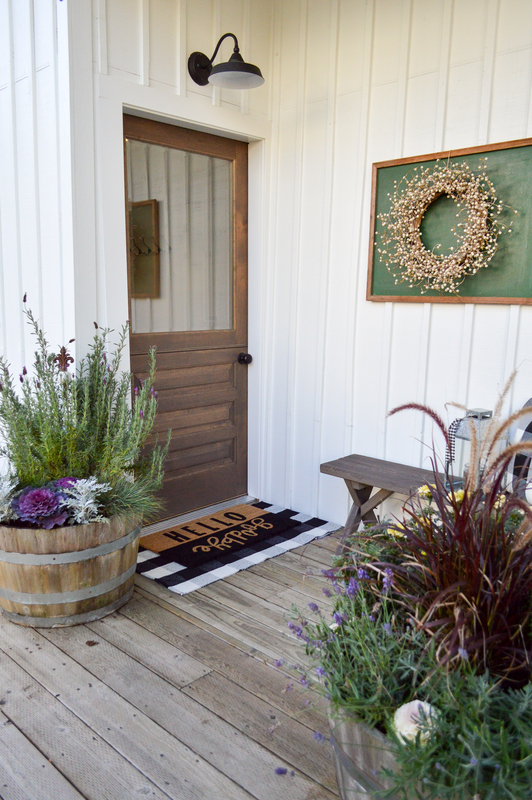 My husband made me a homemade dutch door for our guest house for Christmas last year. ever since I was a little girl I was enchanted by them. I love just coming in and gazing at it and feeling so lucky to have such a handy, thoughtful husband. i have a question for you: what is your favorite shade of gray right now? Looking to paint the kitchen cabinets and upstairs bathroom cabinets. thanks! That is how my dad and I did ours at our last house! We installed new side-lite glass too. It was the think yellow coke bottle glass. 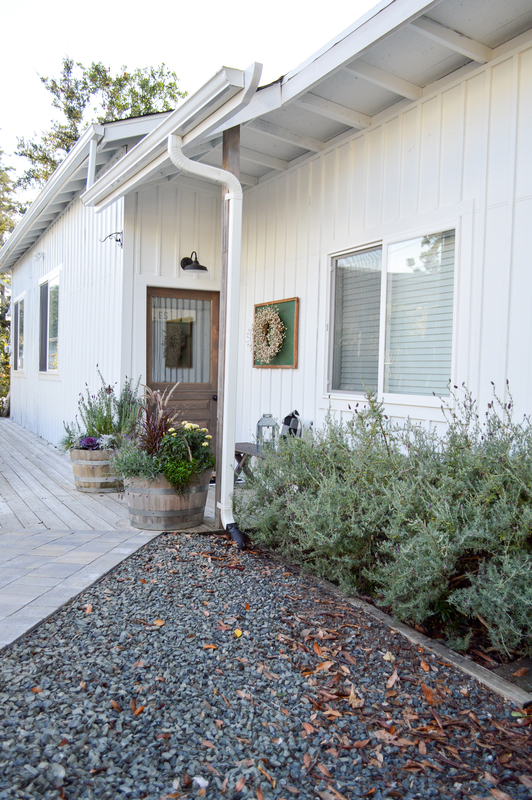 It was an amazing house and we reno’ed it top to bottom, all 3500 square feet. They are enchanting. You used the perfect word 🙂 Having a handy hubby is the best isn’t it? My dad is handy, and so is my hubby. I’m so used to super handy men! There are a few colors I really like but there are so many greys, and it’s really important to take the other elements of the room into account, so I’d hate to suggest a single color. I’d invest in several samples so you can see what goes best with the tones of the other surfaces in the room, like the counters and flooring. Check out Pinterest and google to see if you are more drawn to the lighter airier shades, or if you like a more dramatic color with more contrast. Best of luck!! I really love the door; it adds so much character. 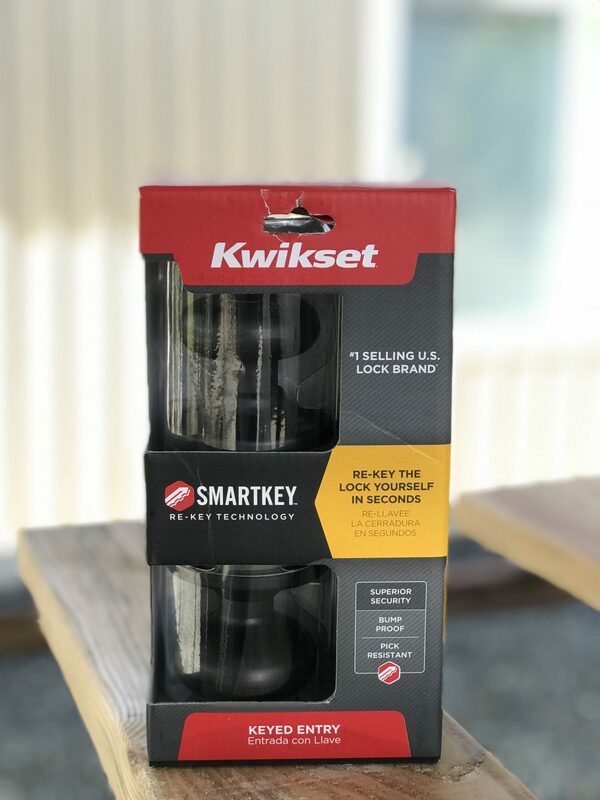 What brand of new vacuum did you get? I’m looking for one! THANKS 🙂 I got another Dyson. My original yellow one is 14 years old ad still working great, so I got the multi floor ball. The handle is a little different, but it works so good! I already love it. It was $239 at Walmart. I think both QVC & HSN have them for $199 but I wanted to be able to return it if it didn’t perform well so I bought it here in town. Stunning! 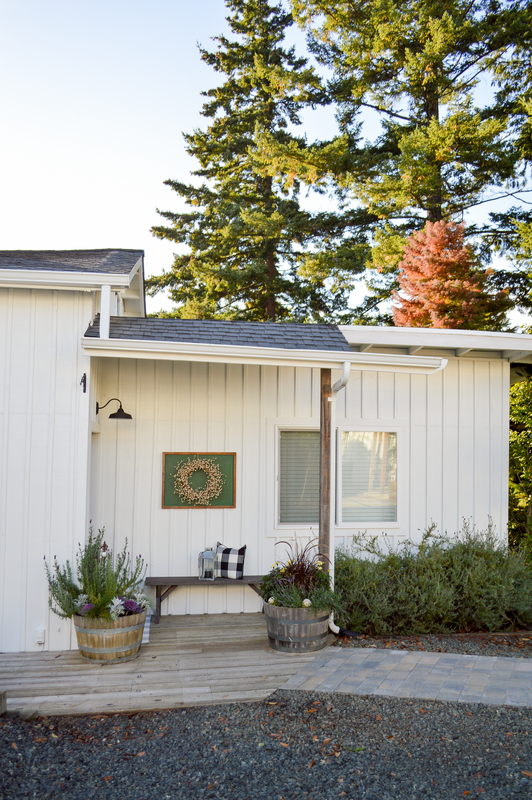 So happy you painted the Little Cottage white to match the main house. Very cohesive. Nice to have such a pretty view now. That Briarsmoke stain is gorgeous. 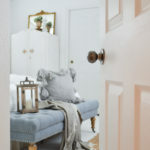 What beautiful doors too and after seeing it I’m now thinking of painting one of my bedroom walls in the softened green. 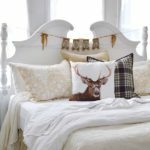 It would be behind my rattan headboard – everything is mostly white with dark wood floors. Exactly!! It all flows now, I’m so happy. My sister and I used that stain on some of her project a few years ago, I fell in love with it. I think that sounds like a beautiful idea for your room! 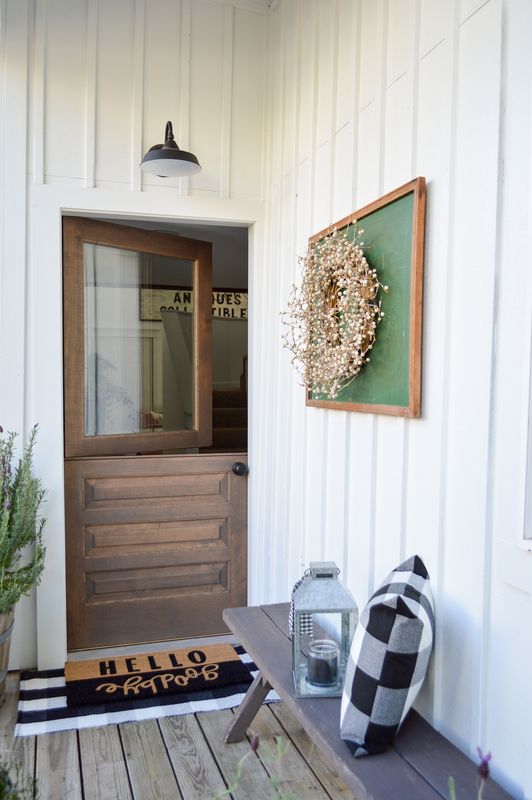 It all looks awesome, and that Dutch door is awesome! 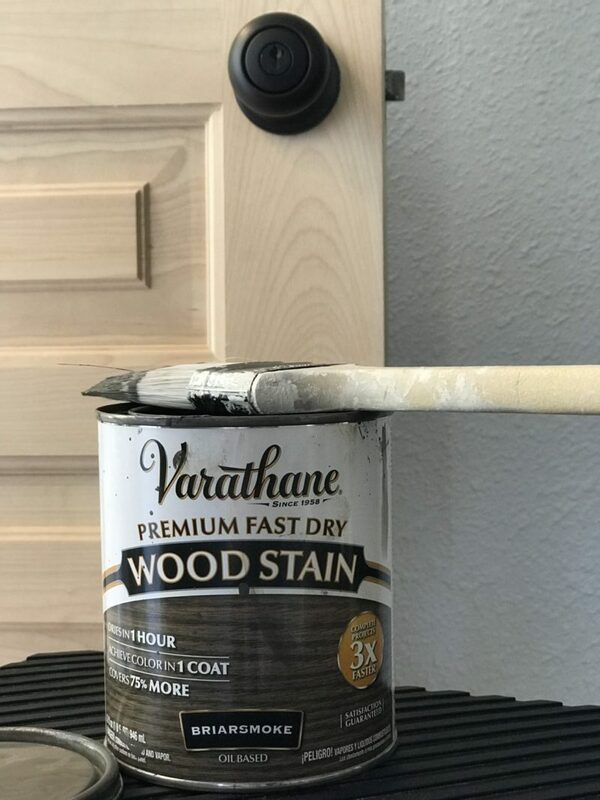 The stain is a perfect compliment to its design. We are looking at upcoming renovations so I am getting so many good ideas from you. 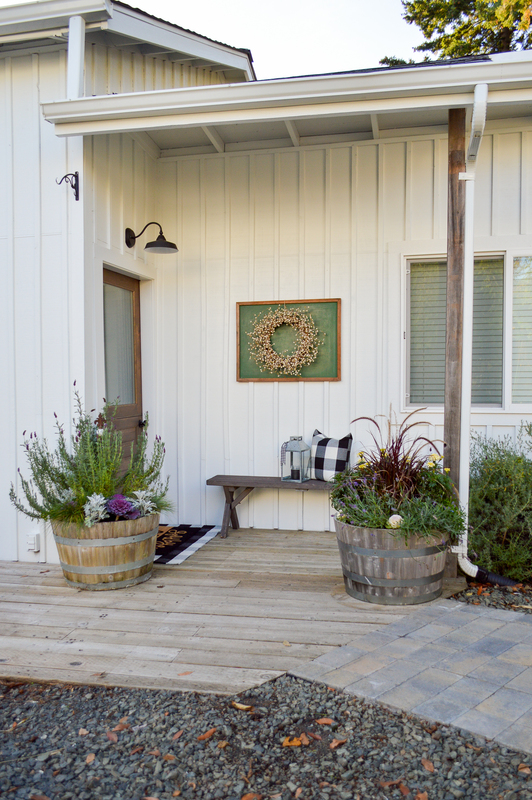 The Little Cottage Exterior Paint + Dutch Door Reveal Day! 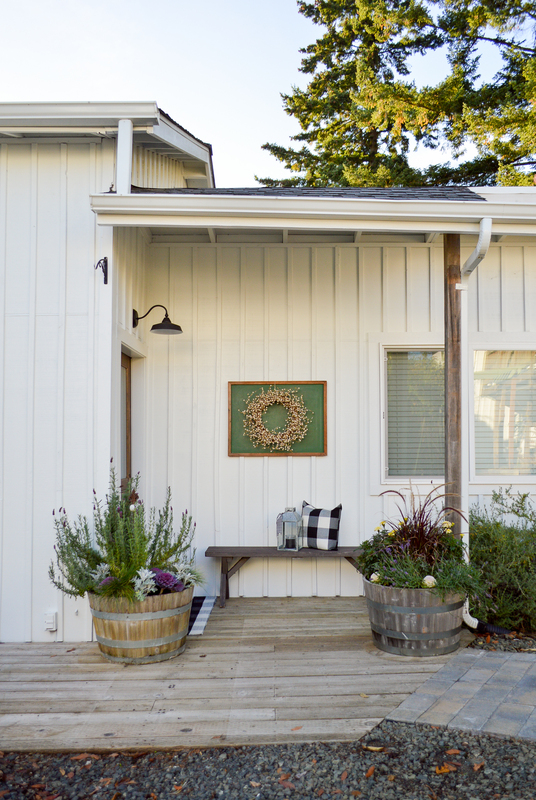 We gave our home cottage farmhouse charm with Pure White batten siding + a new Simpson Door.